James Lee is a dynamic designer with an impressive portfolio. James Lee is a dynamic designer with an impressive portfolio. His passion for design and magnetic personality have led him to his current position as Associate Design Director at Wilson Associates. His creativity allows him to view design holistically. As he designs, he imagines himself in the space as if he were walking through as a guest for the first time. 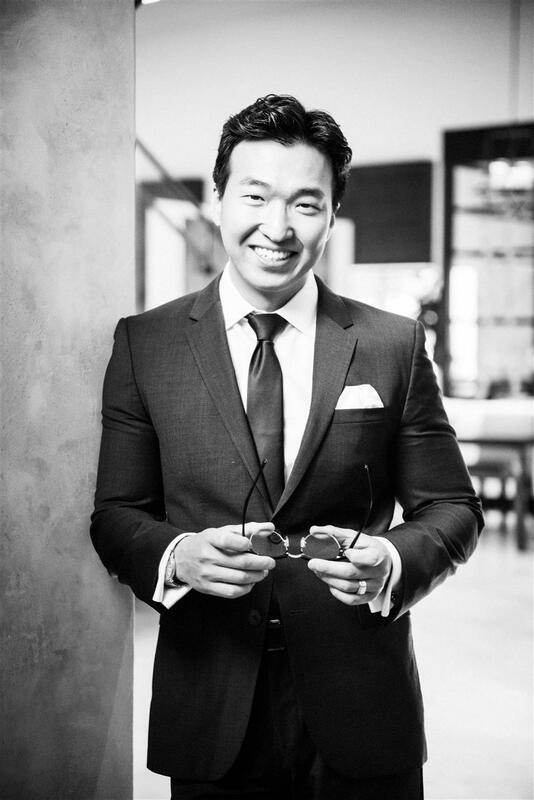 His experience working with both boutique properties and big-name brands proves his diversity and agility. Lee is involved in each stage of the design process, working closely with the project team to ensure the integrity and direction of the project. Tell us some of your works, and the one you are most proud of. Langham Place Hotel in Qingdao, China, and most recently Skye Niseko condominium resort in Hokkaido, Japan. I’m most proud of Skye Niseko so far. It was an interesting job and I had to challenge myself and my team because we were producing a very minimalistic design. We were asked to design a space that has a soul and deeper meaning, where people can come to relax and be rejuvenated, immersing themselves in Niseko. But we also designed the space using only 3-4 architectural finishes per space, which is very difficult. The final result was a luxurious, but minimal space. Are you involved with any project? I’ve got eight projects right now! We’re working on a luxury hotel in Morocco, and another luxury hotel in Belarus. Oceanwide is a clubhouse project in Shanghai. There’s also the Hyatt Regency Orange County in Garden Grove, California, and the InterContinental Marina Hotel in Abu Dhabi, in the United Arab Emirates. I’m a chameleon, in that I’m always adapting to what the project and the client need, although I tend toward a clean, minimalist design with a high contrast of contemporary elements and lots of soul. I admire architects like Piet Boon; we share a similar design philosophy. I enjoy working in cafés — I’ve drawn a lot of small sketches on the backs of napkins, which sometimes come to life. I also enjoy visiting museums because I’m a firm believer in respecting history. There is much to be revealed in our past and in various forms of art; there are so many elements we can draw from history to adapt in a modern way. I’m probably most creative at home. As designers, we dream and think, and there’s a lot on our minds as we’re going to bed — we’re dreaming about tomorrow. And then the next day when we wake up, we change the design altogether! Home is a place where I can let down my guard. Society today — whether we’re at work, at school, at parties — we’re surrounded by people and there is a social tension and pressure to succeed, to be the best. But home is a place where I don’t have to worry about any of that — what I wear, who I’m meeting; it’s a place where I can recharge my batteries, my sanctuary with my family. Every time I travel I always get the Starbucks coffee mug from that city — you know, the ones with a design special for that city. I’ve got about 50 of them and my wife hates it! I have so many they’re stacked on top of each other, but I love them. The former French Concession. After the war when it was signed back to the government, the culture remained. It’s like a little village, with lots of unique cafes, restaurants and shops. Hospitality design is becoming more residential, and residential design is becoming more like hospitality. I say that because hoteliers are asking designers to make the hotel experience like a home away from home, bring in more of the residential, softer touch to hotels. Likewise, homeowners want more elements of hospitality in their homes, from luxury and convenience to materials and amenities.